Today I am sharing some work I have done on fiction genres for primary kids. It started out as a slideshow I made in Keynote with my descriptions of each genre I chose, then morphed into a video when I discovered Slideshow no longer had an embed function. 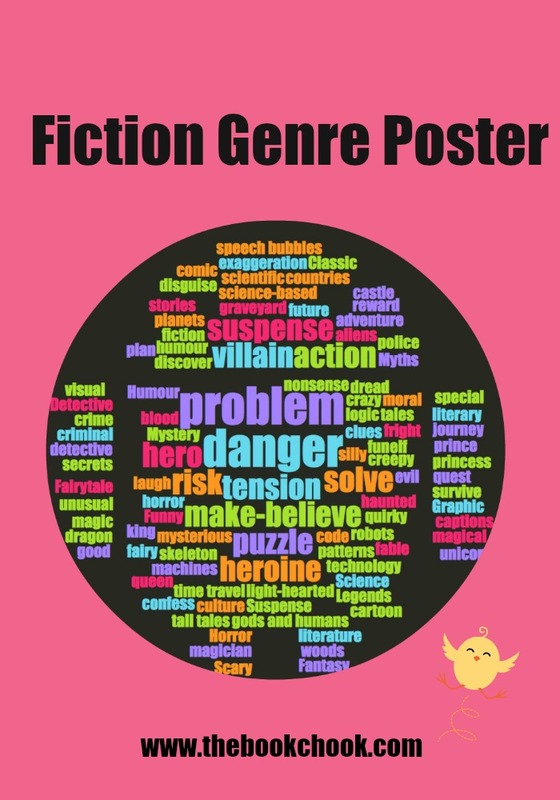 I also made word clouds at ABCya of words we might associate with different genres and created a poster of them you might like to use for reference. You can download the PDF poster at my website. You can see my presentation as a straight slideshow at Slideshare. You can also see the slideshow as a simple video below, or further below, the same video with a soundtrack. As I said, here's the same video with audio added via Youtubes's editor. Check out all the PDFs I’ve made for parents, teachers and librarians to use with kids at my website.